Life in Olney has changed beyond all recognition during the last seventy years or so, and one aim of the Society is to document the reminiscences of inhabitants before their memories are lost forever. Founded in 1997 by a group of like-minded people determined to keep the history of the town and its environs alive for all generations of people living in the town of Olney. The documented records take the form of published books and articles on this website. 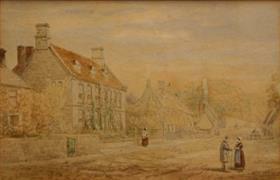 Images shown courtesy of The Cowper & Newton Museum.